Thor makes things easier for students by providing a number of services. For instance, they sell study books to Bachelor students, organise activities to prepare students for life after university, such as excursions to high-tech companies, study trips, symposia and meetings with graduates who talk about their career. Thor also organises various informal activities, and great parties. IEEE (the Institute of Electrical and Electronics Engineers, Inc.) is an international organization by and for academic engineers in the field of electrical engineering. Worldwide, there are more than 330.000 members. IEEE SBE is the student branch at the TU/e. It is the most active branch of IEEE in Europe. Every year, they organise a wide range of activities. With this, the Student Branch Eindhoven prepares students socially, culturally and professionally for their future. More information on IEEE SBE, its activities and memberships can be found on the IEEE student branch website. Within the strategic area Smart Mobility, Eindhoven University of Technology (TU/e) focuses on the societal challenges through research and by students who represent the ideas of tomorrow. 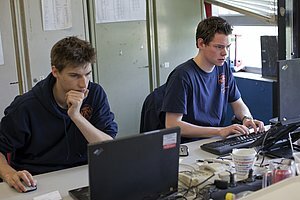 Scientific education and research blossom within the Automotive Student Teams that develop and build different vehicles to compete internationally with other university teams. Vehicles in which the students put theoretical solutions to societal challenges into practice. With a good understanding, plenty of enthusiasm and together with equal minded sponsors and professors. 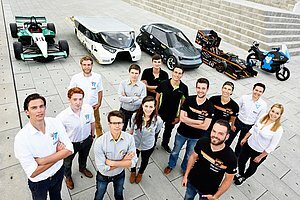 TU/e has six Automotive Student Teams: Solar Team Eindhoven (STE), University Racing Team (URE), TU/ecomotive, Storm, InMotion and CADE.